Strong between the hills and the sea Rapallo has been home to two important peace treaties; here has headquartersan an original Lace Museum, which recalls the traditional 'pillow' pointed beard craft and lace craftsmanship. It can be a promenade along the waterfront, with the sixteenth-century castle on the sea, today used as exhibitions space. Do not miss the excursion on the cableway, the only one in Liguria so close to the sea, up to the Sanctuary of Our Lady of Montallegro, from which you can enjoy one of the most fascinating views on the Gulf of Tigullio. 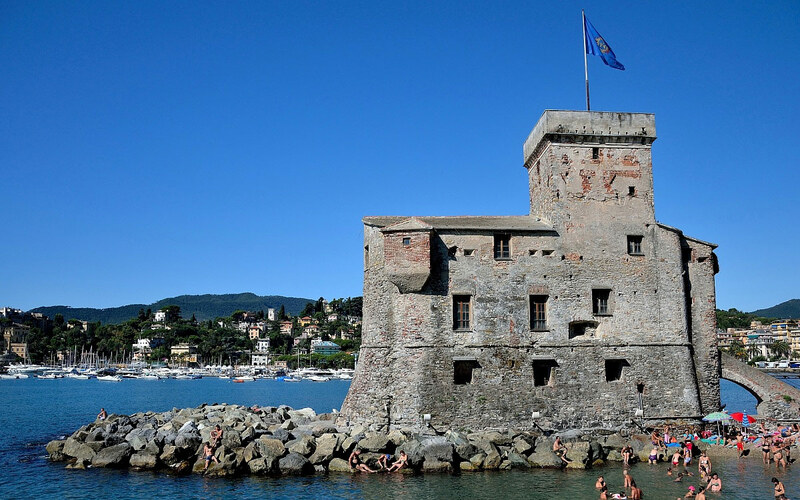 Santa Margherita Ligure, an elegant tourist center, once a fishing village, sailors and artisans, was characterized until the end of the nineteenth century by the coral fishing which still remains as a symbol in the municipal coat of arms as testimony of its importance in local history. Fisheries still remain one of the prevailing sectors of the town's economy: in fact every evening tou can admire the arrival of the fishing boats returning from the sea with their catch. In addition to the spectacular Basilica of Our Lady of the Rose, the Chapel of the Cappuccini, the Church of San Giacomo of the Court and the oratories, you must definitely visit the 17th-century Villa Durazzo with its park rich in numerous palm species. On the way to Portofino, on every first and third Sunday of each month, you can take part in a guided tour at the Abbey of Cervara, standing on the cliff, in the middle of the vegetation, in the 14th century, exemplary for its wonderful Italian garden.